TWO LIVES SACRIFICED TO A DISPUTED MINING CLAIM. Submitted by ken on May 31, 2007 - 1:38pm. DURANGO, Mexico, Dec. 7. -- The story of a desperate mining claim feud that culminated in the death of two well-known citizens of the United States reached here to-day. The scene of the affair was the hacienda of Otinapa, some 35 miles north of here, owned principally by C. A. Lebold, a banker of Abilene, Kan. Eight miles north of the Otinapa house is situated on Otinapa lands the hacienda Rio Verde, which is the headquarters of the Durango Mining Company of St. Louis, Mo., in charge of Dr. Sidney S. Eady. Submitted by ken on May 30, 2007 - 11:03pm. Submitted by ken on May 30, 2007 - 2:19pm. 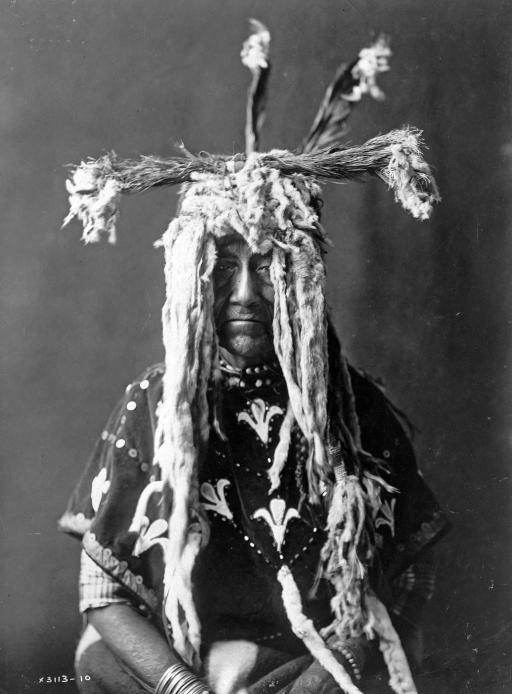 The Idaho Indian War: Caption identifies sitters as Eagle of Light, Nez Percé; Joseph, Nez Percé; and (Smohollah). 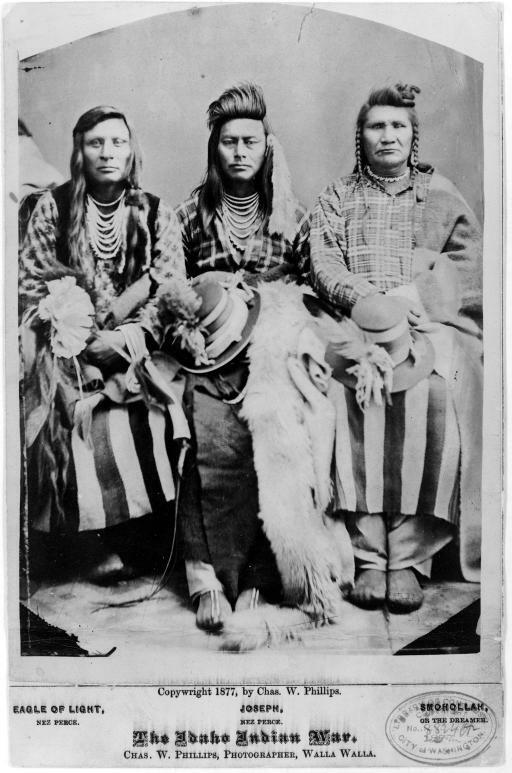 However, Bill Gulick in Chief Joseph Country: Land of the Nez Percé, 1981, identifies sitters in this image as Billy Carter, Ollokot (Chief Joseph's brother) and Middle Bear. Photographed by Chas. W. Phillips, c 1877. View full image. Submitted by dave on May 24, 2007 - 4:16pm. NOGALES, Arizona, Aug. 27 - American border patrols, detachments of cavalry, Arizona “line riders” and Mexican federal troops tonight joined in an international search for seven Mexican bandits who brutally murdered Frank J. Pearson, postmaster at Ruby, Arizona, and his wife late yesterday. Mrs. Pearson's head was severed by the bandits after she had been attacked.